Everyday narcissism, or EN, is a common, garden-variety form of narcissism that most of us share. It’s a belief in the myth that we have the power to control how other people feel and act—and that other people have the power to control how we feel and act. 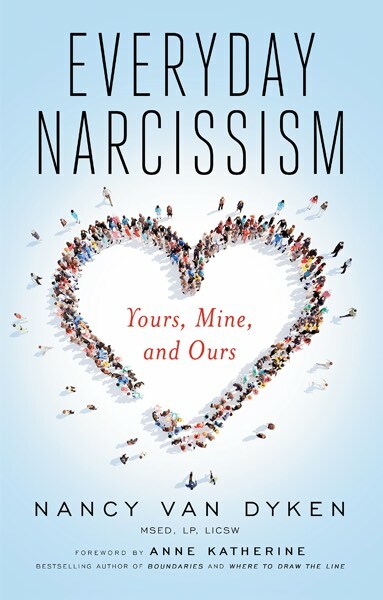 Nancy’s new book offers a simple step-by-step program for recognizing everyday narcissism in ourselves and others; healing our own EN; and creating greater happiness, more fulfilling relationships, and a happier, more meaningful life.